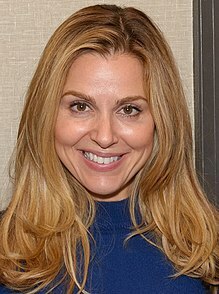 Cara Buono is an American actress. Her roles include Dr. Faye Miller in the fourth season of the AMC drama series Mad Men, Kelli Moltisanti in the sixth season of The Sopranos, Linda Salvo in the 2006 comedy Artie Lange's Beer League, and Karen Wheeler in the 2016 horror sci-fi Netflix original series Stranger Things. She has appeared in such films as Hulk (2003) and Let Me In (2010). I love to cook. I'd hoped by now I'd have a big loft. I have this fantasy that between 12 and 4, if you're in New York, it's known that I'll be serving a meal and you can just show up. You can watch TV, hang out, nap. Once a month. Wouldn't that be nice? I might have to do the London Marathon. I like crowds, so that is why I like the big marathons. I love to cook. I love to cook for myself and my husband and big groups. I find it very relaxing, and I love socializing around a dinner table. Running doesn't come easy to me, especially the first thirty or so minutes. My message is take it one step at a time.